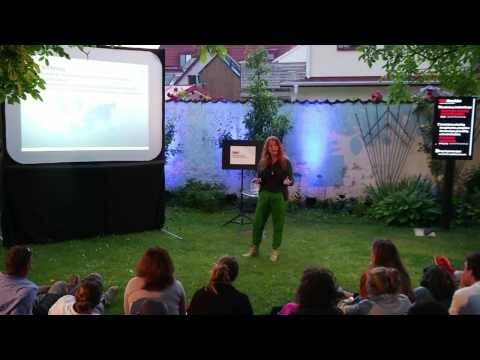 Cecilia Hertz - Speakers Academy vindt de beste spreker en dagvoorzitter voor uw bijeenkomst. | Speakers Academy vindt de beste spreker en dagvoorzitter voor uw bijeenkomst. Umbilical Design* has roots dating back to 2001, when industrial designer Cecilia Hertz founded the company. Since its inception Umbilical Design has worked with NASA and the European Space Agency ESA on design for the space industry as well as design and architecture for extreme environments. Today, Umbilical Design is an award-winning global design and innovation consultancy and exclusively contracted by the European Space Agency ESA as 1 of 13 Space Technology Brokers. Umbilical Design’s mission from ESA is to show how design, technology and materials from the space industry can be transferred into sustainable solutions for Swedish business and society. Our focus lies on extreme environments and global challenges. + We partner with global leaders and change agents to identify new market opportunities, add value, and solve meaningful problems. + We create positive impact through sustainable design by taking a user-centered approach to helping organizations in the public and private sectors innovate, grow, and bring to market new ideas. + We design and launch innovative concepts, products, architecture, services, ventures, and brands by combining business acumen with knowledge form the space sector and user-centered market insights. + We help organizations to stimulate business opportunities and build the capabilities required to sustainable innovation. * The term “Umbilical” is used in astronautics to describe whatever links one object or system to another, such as the lifeline connecting an astronaut performing an EVA with her spacecraft. Conqueror of the Mount Everest.